I’m sure we’re all aware of the Irish folklore, right? I don’t need to explain this joke, right? It was just coincidence, by the way, that this worked out this way. That this Irish themed strip ran the day after St. Patrick’s Day. But it’s fitting. My father-in-law came to visit us a few weeks back. While he was here, we all went for a hike. For some reason during that hike, we started talking about bears and what happens when you come across them in the wild. – Sidenote: I am convinced that since I eat sleep and breath bears for my strip, i’m destined to get mauled by one in the real world. Come on. Can’t you just feel the comedic irony? But I digress… – Anyway, my father-in-law mentioned that there’s this thing call a bear bell. Something you wear that rings and warns the bear you’re coming alone. So you do’t startled it and… well get mauled. Silly, right? A week ago, I got an unsolicited package in the mail. 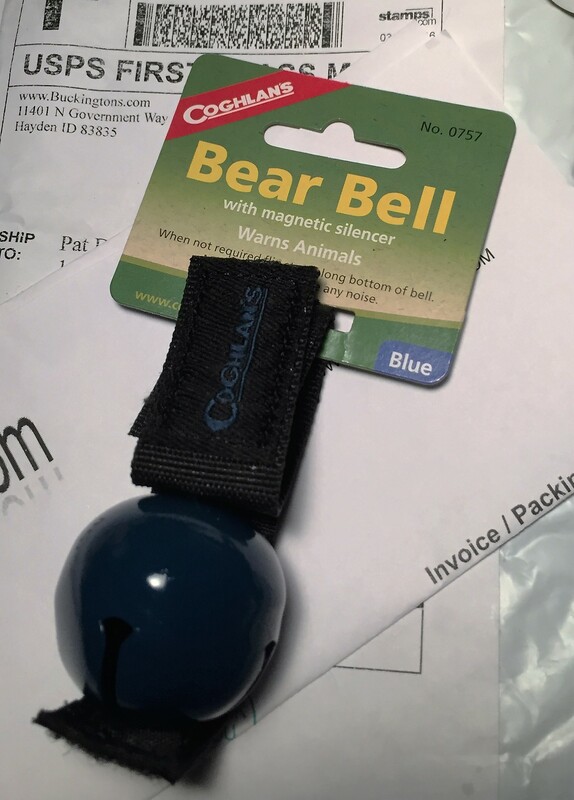 I opened it and behold, my very own bear bell. Yes. Someone at work referred to it as a dinner bell. The Irish have the luck. Carl not so much. Hilarious strip, P.J.! Thanks Mark. Yeah, I don’t think Carl is Irish. He may just want to quietly slither on out of there! Once he figures out who St. Pat is, yes. I think you’re right. Carl may be exploring more places than he intended! I’m thinking he really didn’t intend on exploring even one of them.